Way back in 1977 a little film called Star Wars was released to box office smashing success. 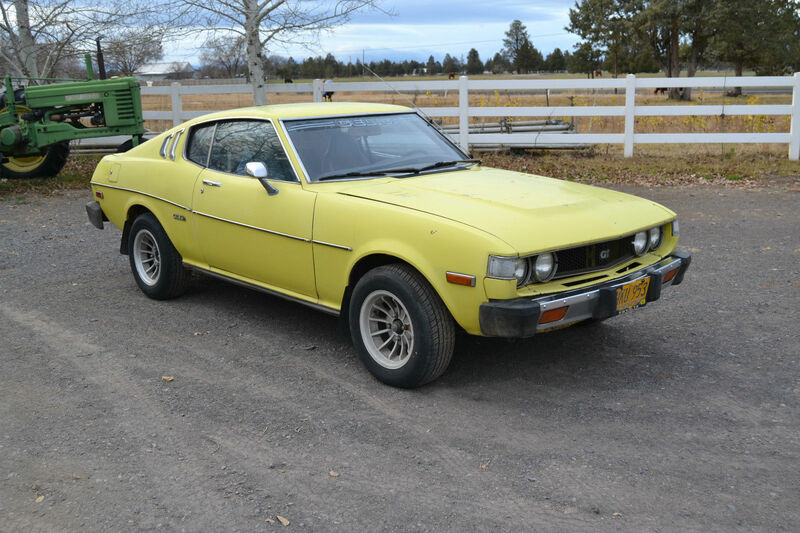 Somewhere in the background, 20th Century Fox joined forces with Toyota to customize and give away a '77 Star Wars Celica. The car was built by Delphi Auto Design in Costa Mesa, CA, but that company went belly up in 1978 due to alleged drugs, kidnapping, and murder stuff -- and the final winner of the Celica wasn't publicized or given much press due to the Delphi controversy. The location of the Star Wars Celica is a mystery today, but you could build your own clone army version with this 1977 Toyota Celica GT here on eBay bidding for $2,500 reserve-not-met with 4 days to go, located in Redmond, OR. 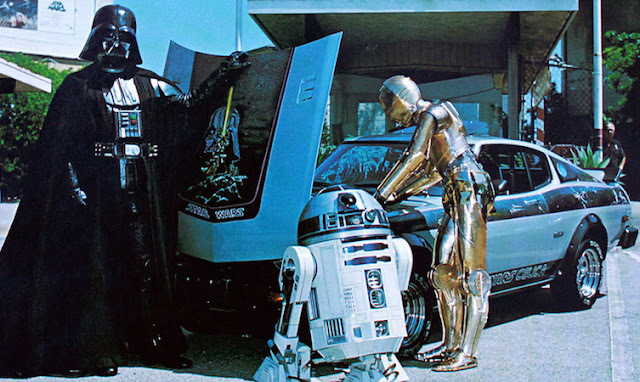 The most likely fate of the original Star Wars Celica is that it was left to rot in some apartment complex somewhere after the owner bailed on his security deposit and the folks who put it through a lien sale assumed it was some crappy custom paint job and just had the car crushed for scrap value. It might be hiding on a garage somewhere under a tarp and the care of a brilliant strategist who is waiting for the release of episode XVII to cash in and fund his retirement...but more likely you've got little bits of it covering your refrigerator. That little model of the Golden Gate bridge you picked up in Chinatown could be made from part of the passenger side tail light bezel. 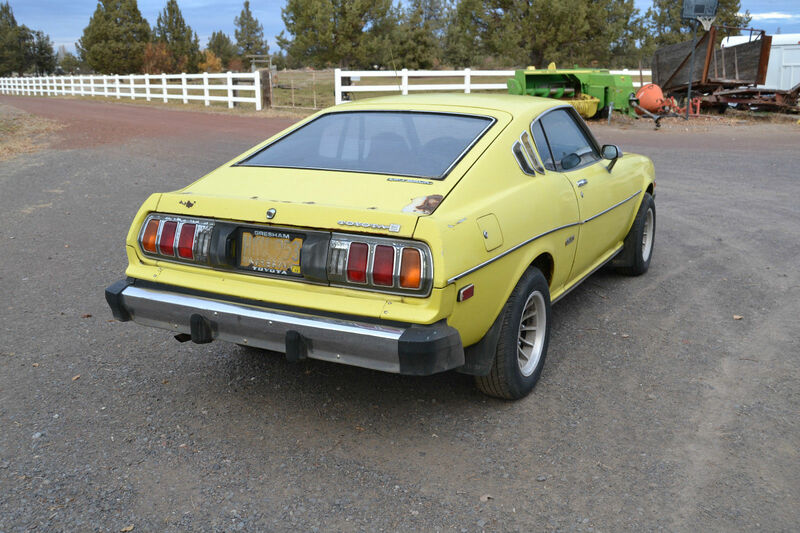 You could take the few photos that exist of the Celicannium Falcon and produce your own tribute version and drive around the streets with normal people assuming you are well on the autism spectrum, and those on the autism spectrum chasing you down and asking if it's the real thing...either way, it's win-win. "This is not the droid we seek...."